Business was a priority sector only in the emirate of Dubai few years ago. But now all the other emirates of UAE are giving due importance to this sector in an effort to reduce their reliance on oil sector. This shift in policy has shown positive results in overall economy of UAE. The latest report on progress of business activity is also quite encouraging. 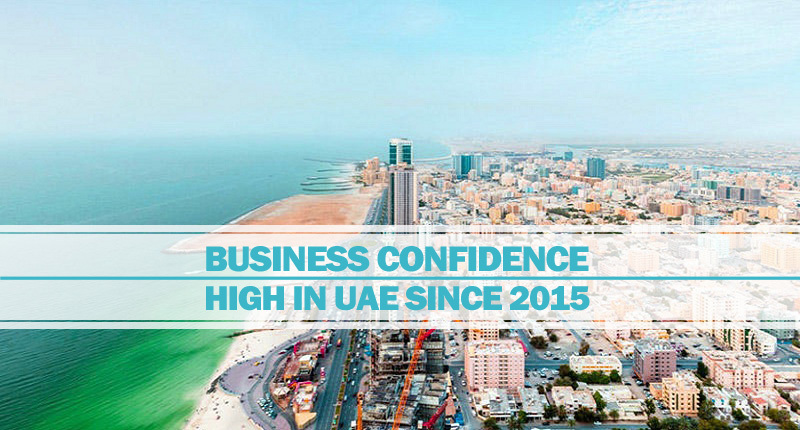 According to a survey conducted by the Association of Chartered Certificate Accountants (ACCA) and IMA Global Economic Conditions, the business confidence in UAE has increased to its highest level in second quarter of 2018 since Q2 of 2015. The report further clarifies that improvement has been seen all over the Middle East region and the driving force behind this achievement is increase in oil process. At the start of 2016, it declined to $35 per barrel but now has recovered a lot. In late May, the oil gained more than double its value and was available in the international market at $80 per barrel. The ultimate result of this increase in oil price is increase in revenues for respective governments. This provides even better situation for UAE and Saudi Arabia as they are already getting additional revenue through the implementation of VAT (value added tax). According to experts, there is no doubt about significance of recent increase in oil prices in achieving this business confidence in UAE and other Gulf state, but it is also a reality that other factors also played important role in creating this impact, at least in UAE. One such important factor is the expenditure for the upcoming 2020 World Expo that will be held in Dubai. Apart from that, the attachment of UAE exchange rate to US dollar and higher interest rates in USA has not only made things suitable for the country but it will make things easier in future also. This recent survey by formidable institutes shows that businesses are growing in confidence in UAE amid recent increase in oil prices. Most of the other Gulf countries are relying solely on oil for this purpose but it is not the case with UAE. Several other factors are also contributing in this aspect including implementation of VAT, 2020 World Expo in Dubai and other important measures taken by UAE for growth of business activity. These reports are clearly indicating that conditions are quite suitable for all types of business activities not only in Dubai but also other emirates of UAE. For assistance in setting up your business in UAE, you can contact Riz & Mona Consultancy for trade license in Dubai and other emirates of UAE.